Ceramic classes on Mondays and Tuesdays, either 10h00-12h30 or 17h30-20h00. I teach all the hand-building techniques in a relaxed small group environment. Masterclasses, short courses and corporate team building workshops are also possible. Send me an enquiry for more details. 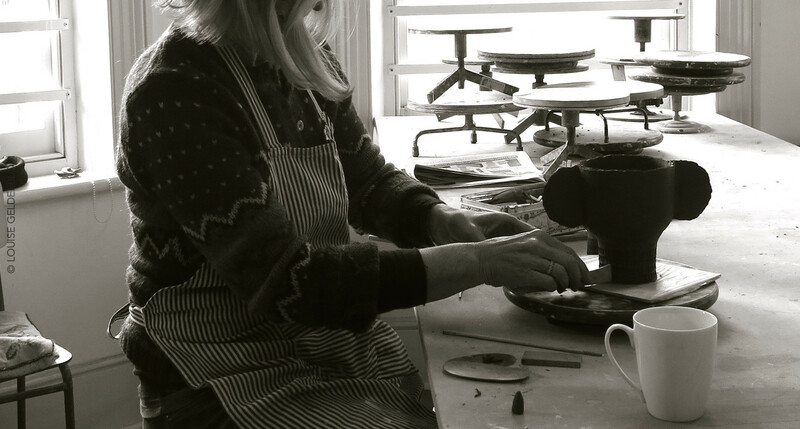 Have you always wanted to explore working with clay? You can sign up for a tailor-made master class with me next time you are in Cape Town and you do not really feel like paragliding down our mountains or going for a helicopter flip. It is a very flexible arrangement, tailor-made to your specific interests and available time, and I will send your creations to your home address once they are fired. I also host corporate or team building sessions, where groups of co-workers can interact in a non-verbal way with one another and activate the more intuitive, creative side of their thinking. Added bonus: 20% discount on anything at my studio on the day!